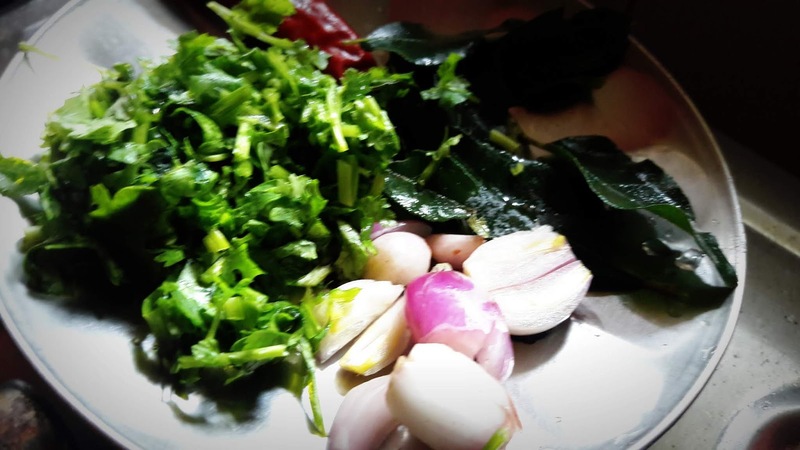 Here usually make different varieties of sambar. 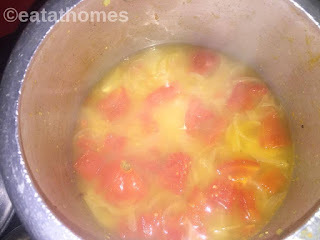 A normal sambar for rice, ulli sambar, vendakkya (okra / bhindi) sambar, coconut – onion roasted palakkad style sambar, raw mango sambar and the list goes on. 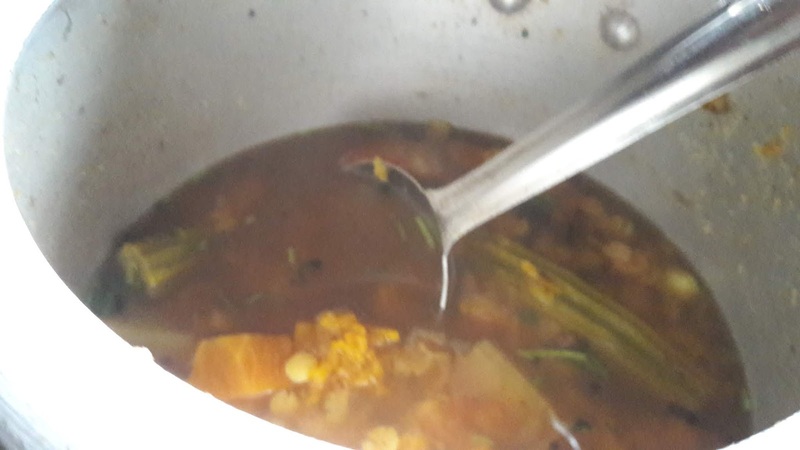 In all this sambar varieties one of my very own favorite is tiffin sambar. This is the one which is serve with Idli and dosa. Lets see step by step pictorial recipe of Idli sambar / tiffin sambar. First of all Soaked lentils in water 10-15 min. 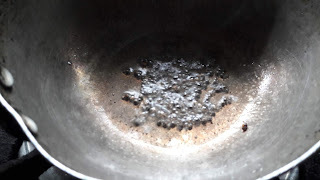 Soaked Tamarind in water 10-15 min or until soft. In a kadai heat coconut oil , crackled mustered seed-fenugreek seed , dry red chili, curry leaves shallots (small onions ) till transparent. Add chilli powder, coriander powder and turmeric powder in plate add water and make paste and add in above temper. Stir well. Add tamarind paste and mix. 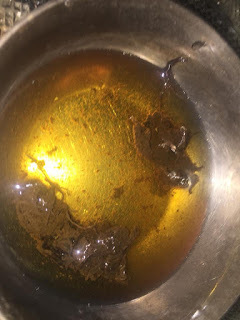 Cook Tiffin sambar for about 3-5 mins in medium flame. 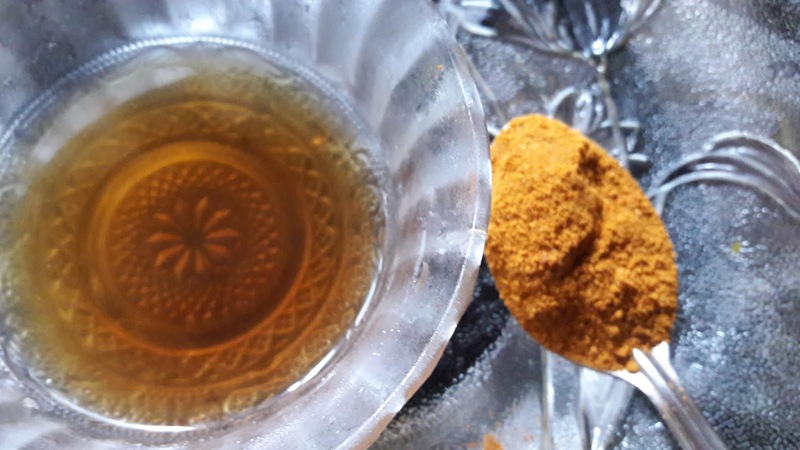 Now add the sambar powder to it. Mix well and keep for 2 minutes in medium flame. Once the gravy consistency is reached switch off the stove. Garnish with chopped coriander leaves. 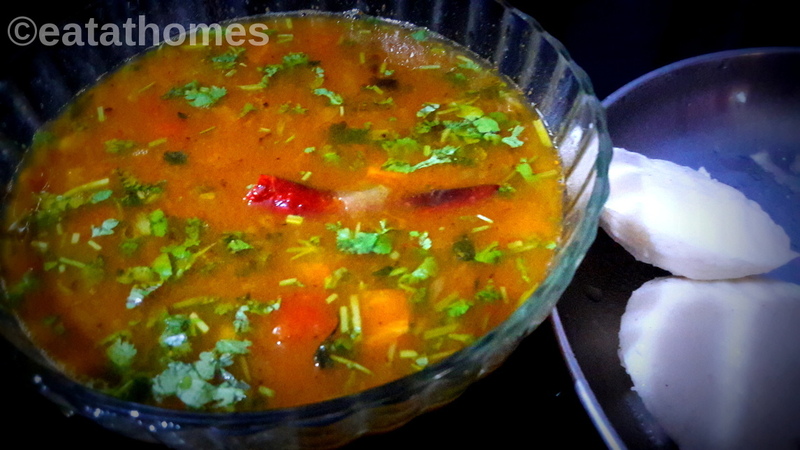 You can use Toor , moong, split masur dal (lentils) for sambar. 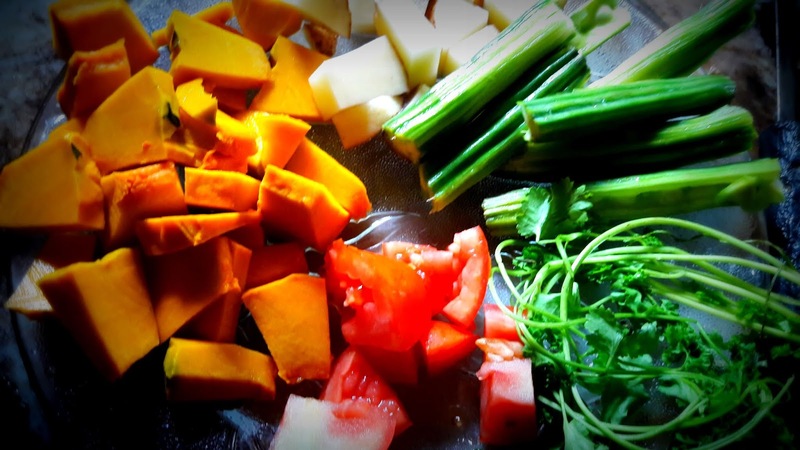 You can add any Vegetable okra, beans, pumpkin, drumstick, which is available in your kitchen. Sambar Consistency ( thick or watery) depend upon your choice.